My outfit for my niece’s wedding was not yet complete simply by finishing the dress. No, I needed a cardigan to go with it. 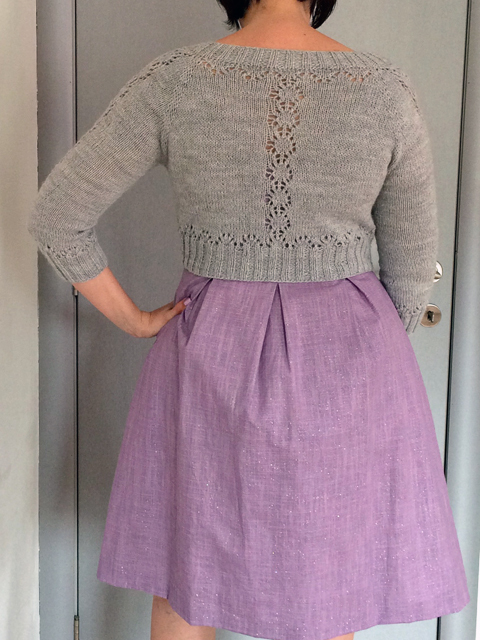 I wanted the cardigan to be short, so it kept showing of my waist and the pleats in the skirt. I also wanted a V-shaped neckline to mirror the back of the skirt. 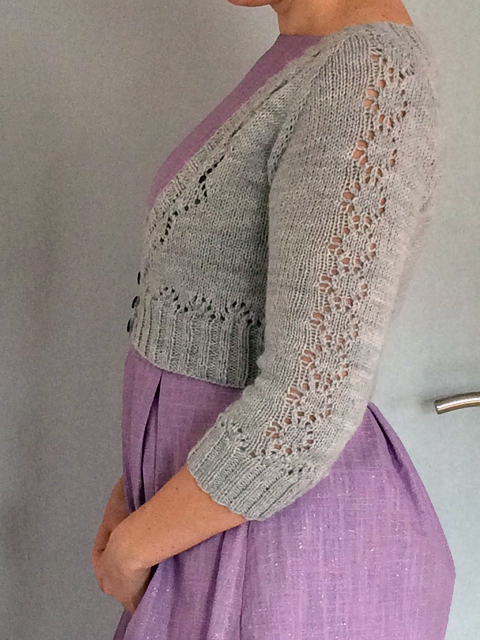 Additionally, I also got it in my head that I wanted the cardigan to have some form of lace-pattern incorporated. These were a lot of requirements and it may come as no surprise that I couldn’t find any existing pattern ticking off all the boxes. I wanted to use the basic model of the Safire, but incorporate the lace-elements from the Miette. 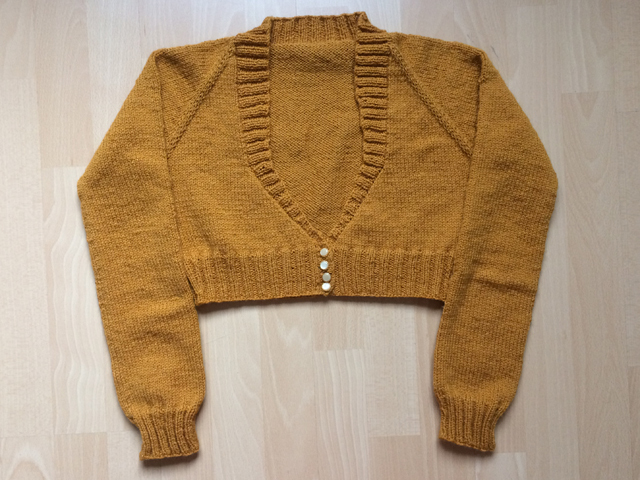 This required a lot of calculations, trial and error, knitting and ripping back, recalculations and more knitting and ripping back. But in the end, it was all worth it, because the final result was exactly what I had in mind! 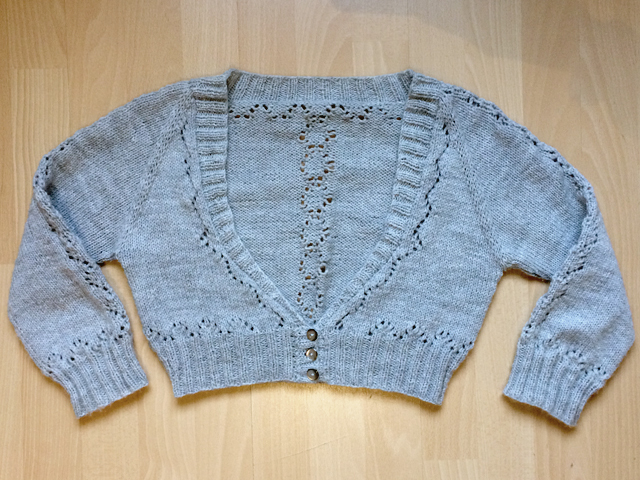 I already wore this cardigan a lot, so the yarn is getting a tiny bit fleecy. 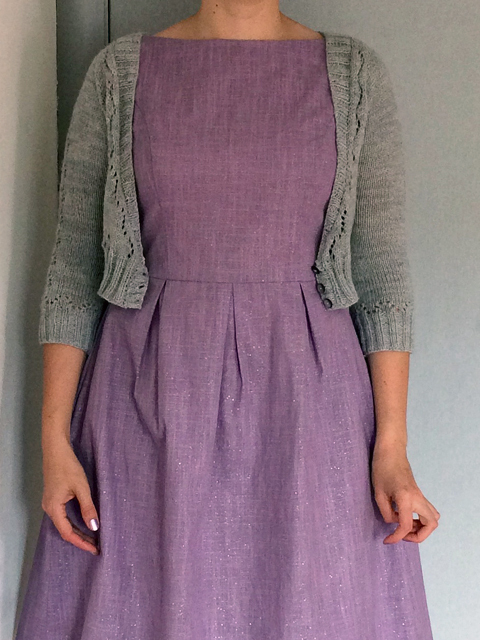 It doesn’t only fit the June dress for which it was intended, but also many other dresses in my wardrobe. 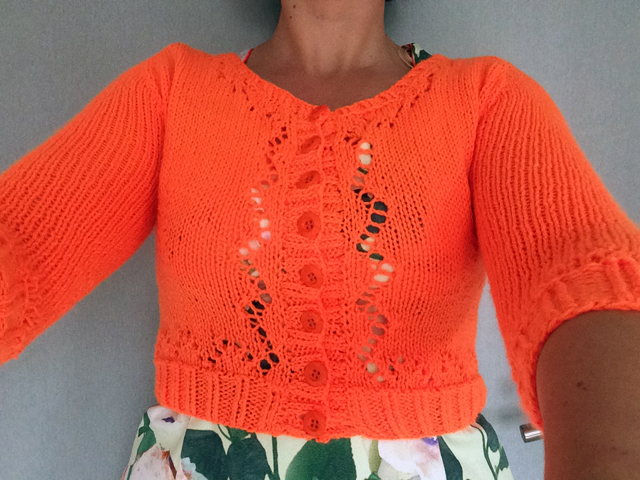 Initially I had only intended for the lacey bits to run around the edges, but while I was knitting I started thinking of adding a running lace-ladder across the back and the sleeves. So when I had to start over again because my gauge was off, it was the perfect time to incorporate that new idea. And doesn’t it look great? 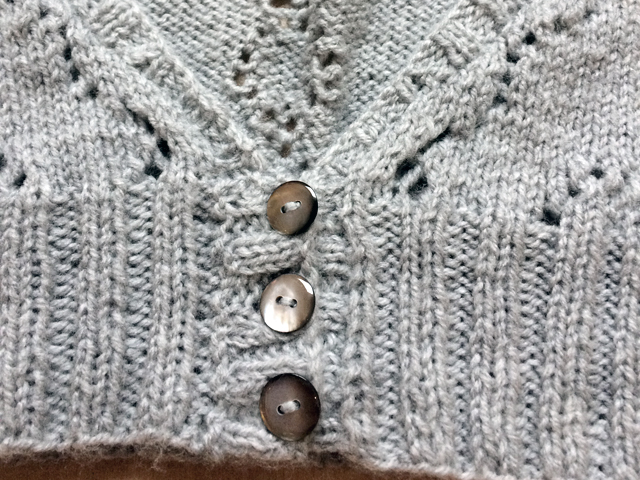 The buttons are grey mother of pearl. The colour fits perfectly with the yarn. But even unbottoned the cardigan still looks great. I’m also loving the lacey-ladder across the arms. 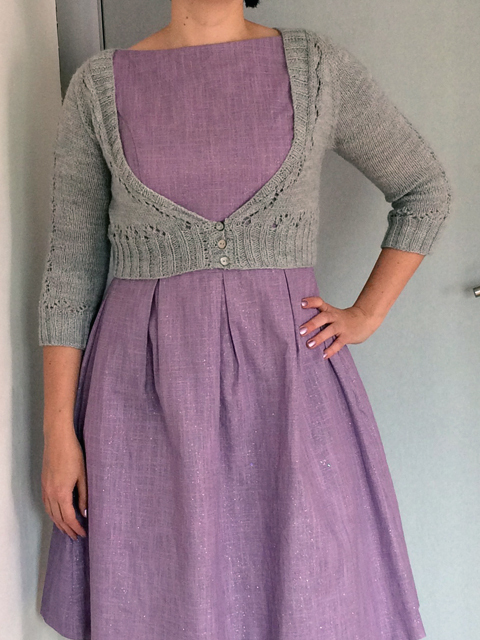 And now my outfit for my niece’s wedding was finished and I absolutely love it!